Does Gahanna have standard construction drawings? Gahanna uses the following construction drawings: Ten-State for sanitary and water standards, Mid-Ohio Regional Planning Commission (MORPC) for stormwater standards, its own for street lighting standards and the City of Columbus for everything else. Does the City provide a list of concrete contractors? Yes. Please contact the Department of Public Service and Engineering, Building Division at 614-342-4010. Do I need a permit to replace my driveway, driveway approach, sidewalk or curb? A permit is not required for the replacement of the driveway. Two permits are required for the replacement of the driveway approach. The first is a driveway approach permit (fee charged). The second is a right-of-way permit (no cost). Only a right-of-way permit (no cost) is required for the replacement of the sidewalk or curb. These permits can be obtained from the Department of Public Service and Engineering, Building Division. If construction plans are required with the permit application, paper copies must be submitted after applying for the permit online (5 sets are required for commercial and 4 sets are required for residential). Please refer to the appropriate section of the City Code when completing an application. Application fees may be paid by cash in-person and check or credit card in-person and online. Applicants can create an account and request inspections online at: https://ohga.onlama.com/ or by contacting Gahanna’s Building Division at 614-342-4010. How do I purchase additional inspections? Additional inspections can be purchased online at: https://ohga.onlama.com/ or by contacting Gahanna’s Building Division at 614-342-4010. How do I track my permit? How do I find the fees for permits and inspections that will be effective August 1, 2017? How do I get contact information for the Building Division? How do I find the Gahanna City Code? When is Trick-or-Treat in Gahanna? Trick-or-Treat in central Ohio is determined by the Mid-Ohio Regional Planning Commission (MORPC). In 2009, MORPC passed Resolution 11-09 which recommends that when October 31 falls on the weekend nights of Friday, Saturday or Sunday, Trick-or-Treat will be held on the Thursday prior to October 31. If October 31 falls on a Monday, Tuesday, Wednesday or Thursday, it will be held on October 31. The time for the event is 6 p.m. to 8 p.m.
2018 – Wednesday, October 31, 6-8 p.m.
2019 – Thursday, October 31, 6-8 p.m. Contact the Ohio Department of Jobs & Family Services for benefits information and filing applications at 1-877-644-6562 or apply online at www.unemployment.ohio.gov. The closest Social Security office is located at 220 S. Hamilton Road in Whitehall (not Gahanna). The building is just south of Broad Street on the east side of the street. What should I do if I smell a gas odor and how do I report it? If you suspect a gas leak inside a building, get outside immediately and move a safe distance away (do not remain inside and attempt to ventilate the building by opening the windows or doors). If you suspect a gas leak outside, turn off and abandon any motorized equipment and move a safe distance away immediately. Call 9-1-1 immediately once you have reached a safe distance. Remain at a safe distance and warn others to stay away from the building or area until emergency responders and/or Columbia Gas of Ohio service crews arrive. Do not use an open flame or anything that could spark ignition (ie: cell phones, flashlights, garage doors, motor vehicles, power tools, electrical equipment, etc). Do not attempt to operate any pipeline valves. In an event of a pipeline emergency, emergency responders and Columbia Gas of Ohio service crews will evacuate and isolate the area, notify appropriate public safety officials, locate the site of the emergency, stop or reduce gas flow to the affected area, repair the equipment, restore service to customers and investigate the cause of the incident. Emergency responders and/or Columbia Gas of Ohio service crews will notify you when it’s safe to return. For more information on natural gas pipeline safety, visit the Columbia Gas of Ohio website at www.columbiagasohio.com/stay-safe/pipeline-safety or call their customer service at 1-800-344-4077. How do I report that my power is out? How can I find out when it will come back on? All power outages should be reported directly to AEP at 1-800-277-2177. The AEP operator should be able to tell you when to expect power restoration. You may also report outages on the AEP Ohio website at www.aepohio.com/outages as well as check on the status of an outage or click on the outage map to view the numbers and locations of any power outages in central Ohio. When is the 4th of July Parade and how can I participate? For information about the annual Gahanna Lions Club Fourth of July Parade, Contact Chuck Rees at 614.415.5557. What is the Council’s role in City government? The City of Gahanna operates under a mayor-council form of government. The mayor-council form of government separates executive and legislative branches as equal branches of municipal government. The City Council is the legislative branch and sets the overall policy direction for Gahanna. This is accomplished by adopting ordinances that become City laws, adopting the annual budget which determines what services are to be provided and providing oversight of the executive branch. Council Members exercise their legislative powers when acting as a member of the City Council in Council meetings. The executive (or administrative) branch is comprised of the Mayor and the following departments: Development, Emergency Management, Finance, Human Resources, Information Technology, Parks and Recreation, Police and Public Service. Who is elected in Gahanna’s government? The Mayor, seven Council Members, and the City Attorney are elected. The Mayor is a full-time position, the City Attorney and Council Members are part-time elected officials. All elected officials in Gahanna serve nonpartisan posts. How long is the Term of Office for Elected Officials? The four Ward Council members are elected to two-year terms from individual geographic districts. These districts are reviewed approximately every 10 years and changes are made so that each district has approximately the same number of residents. The three At-Large Council members are elected to four-year terms from the entire City. The Mayor and City Attorney also serve four year terms, and that election also runs citywide. All municipal elections in Ohio are held during odd-numbered years. In 2009, the four ward Council seats were up for election. In 2011 all elected positions in the City are up. How can I get a message to my Council Member? You can send an e-mail message to councilstaff@gahanna.gov, or write your Council members at Council Office, 200 S. Hamilton Road, Gahanna, OH 43230. 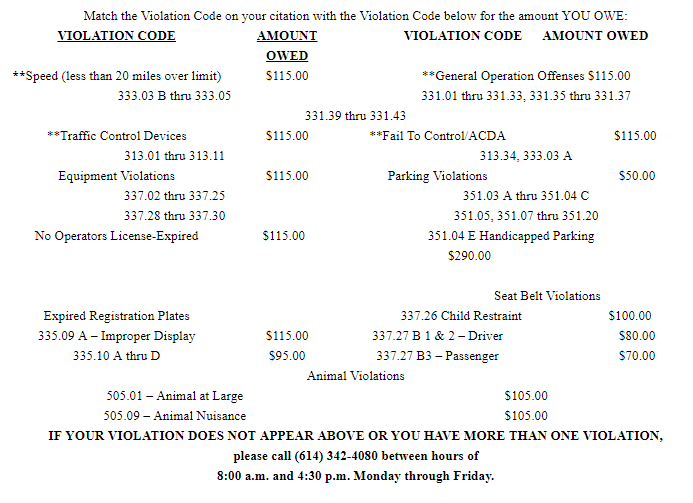 You may call the Council Office at 614-342-4090, or fax comments to 614-342-4190. The Council meets on the 1st and 3rd Mondays of each month in a regular meeting. If a Monday is an observed holiday for the City, Council meetings are then held on Tuesday. The regular meeting starts at 7:00 p.m. Council meetings are conducted by the President. The Council meets in informal Committee meetings at 7:00 p.m. on the 2nd and 4th Mondays of each month (Tuesday if there is a holiday). These meetings allow Council Members to receive information and discuss pending issues. No formal action can be taken at a committee meeting. What is the difference between a Council meeting and a Committee meeting? Council Members exercise their legislative powers in Council meetings by voting on ordinances, resolutions or motions and conducting public hearings. Committee meetings are designed to provide information to the Council Members on issues that may be presented at a future Council meeting; these meetings can be considered as “briefing” sessions. Council members may not enact legislation during Committee meetings. In accordance with Ohio’s Open Meetings Law, all Regular Council and Committee Meetings are posted in advance of the meeting. Agendas are usually posted to the web site on the Friday prior to a Monday or Tuesday meeting. Agendas are also available in the Council Office on the Friday afternoon prior to a meeting. Click here to view Council agendas or call the Council office at 342-4090 for more information. How can I review minutes from Council and Committee meetings? All Regular Council and Committee meeting minutes are posted on the website. The minutes of a regular meeting take about 2 weeks to be completed and posted. Committee meeting minutes usually are posted the Friday following the meeting. Please use the Legislative Calendar to view Council minutes or call the Council office at 614-342-4090 for more information. What is my Council district? Your Council district is determined by where you reside in Gahanna. General neighborhood boundaries are outlined on the Ward Map or more details can be obtained by calling the Council Office at 342-4090. You may also obtain information as to your ward district through the Franklin County Board of Elections. Can I address the Council Members during a Council meeting? Yes. Audience members may make comments to the Council and Mayor during the “Hearing of Visitors” portion of the agenda or during Public Hearings by filling out a speaker slip provided by Council staff at the Council meetings. Audience members will be called by name to the lectern when it is their turn to speak. Comments are limited to three minutes. There is no comment period at Committee meetings, although the public is welcome to attend. Will the mayor be hearing my case at the Mayor’s Court? No, the Court is presided over by the Magistrate who decides the cases. You can contest a ticket by appearing at the Clerk of Courts office on the hearing date notated on the ticket. How can I find out when my court date is? The court date is noted on the bottom right-hand corner of the citation. For any other questions regarding a court date please contact the Clerk of Courts office, 614-342-4080. How do I enter my plea? Pleas must be submitted to the Court in person at the time of the defendant’s appearance before the Court. How can I receive a continuance for my case? You must appear in person at the Clerk of Courts office at Gahanna City Hall, 200 S. Hamilton Rd. and sign a form requesting a continuance. Can I change the jurisdiction for my case to the Franklin County Municipal Court? If it is an offense other than a minor misdemeanor, a written jury demand must be filed with the Clerk of Court. No. Attorneys may fax motions and pleas to be filed and requests for discovery. Why are there paint marking and/or colored flags in my yard? OUPS (Ohio Utilities Protection Service) markings are placed by various underground utilities to mark their lines when a request to dig or build is submitted. If you need to have your lines marked before digging in your yard, call 8-1-1 or 1-800-362-2764. Where is the easement in my yard? Easements are for streets and utilities that provide benefit to the property. Easements should be noted on the property owner’s deed. If assistance is needed, contact the Department of Public Service and Engineering, Engineering Division at 614-342-4050. How do I obtain or change an address? The City Engineer assigns and certifies all addresses within city limits. All requests should be submitted in writing to the City Engineer. Where do I report a streetlight problem? Malfunctioning streetlights may be reported to the Department of Public Service and Engineering at 614-342-4005. The City’s contracted electrician typically works on Thursdays. Streetlights requiring routine maintenance (outages, cycling, etc.) that are reported prior to Thursday will be put on the current week’s work log. If a series of lights are out and the electrician determines it is due to an underground issue, it may take up to several weeks to restore. I found a dead bird. Where do I report this? Please report dead birds to the Franklin County Board of Health at 614-462-3160. How do I report mosquito problems or find out about mosquito spraying in my neighborhood? The City of Gahanna has contracted with the Franklin County Public Health (FCPH) for mosquito control. FCPH uses an Integrated Pest Management approach with a public health focus to reduce and control disease carrying mosquitoes. Various tools and techniques are utilized throughout the mosquito season to help control the population. These include: larviciding areas of stagnant water to prevent mosquitoes from hatching, surveillance of adult populations by the use of traps, testing of mosquitoes for the presence of disease, adulticiding (spraying) to reduce adult populations and implementing a variety of educational materials and awareness approaches. Call the FCPH Mosquito Bite Line at 614-525-BITE (2483) to submit a request for service or to report mosquito problems or concerns. The Bite Line is a voicemail system so please leave a detailed message. All submissions will be processed in the order received. FCPH will make an attempt to respond to reported mosquito problems or concerns within one business day. This may include a site visit to the location reported and/or telephone call to try and obtain further information. During mosquito season, FCPH will set traps out every Monday night throughout central Ohio and test the mosquitoes on Tuesday for mosquito-borne diseases, such as the West Nile Virus. The criteria for spaying is based on an increase of mosquitoes trapped and/or if mosquitoes test positive for West Nile Virus. Click here to view the weekly trap data. If there is a need to treat a specific area in Gahanna, pre-spray maps will be featured on the City of Gahanna’s website prior to treatment. Click here to view local spray maps. Visit Franklin County Public Health’s Mosquito Management Program homepage at www.myfcph.org/mosq.php for more detailed information regarding the general biology of mosquitoes, eliminating mosquitoes from your home, repellent information, management plan, spraying details and more. Forms are also available online to report problems or concerns (request for service) and do not spray requests. Does the City of Gahanna have a health department? The City of Gahanna contracts all health-related services through the Franklin County Board of Health. Please call 614-462-3160 for more information. Does the City of Gahanna allow extensions to file city tax returns? Yes, the city of Gahanna does accept Federal extensions to file city returns, however, payment of estimated tax due must accompany the extension in order to avoid penalty and interest. What is Taxable and what is Non-Taxable? View examples of credit calculations. Download PDF. Residents: Who must file a Gahanna tax return? All Gahanna residents over the age of 18 must file a tax return with the city of Gahanna. Residents: Is retirement income taxable to the city of Gahanna? No. Retirement income and Social Security income is not city taxable. Residents: Is there reciprocity between cities? No. If the city you work in has a city tax, your employer is obligated to withhold city tax for that city. That city does not share that city tax with any other city. Residents: Does the City of Gahanna give full credit for tax paid to your work city? No – The city of Gahanna gives partial credit for tax paid to your work city. The formula for figuring this credit is on the back of the Gahanna tax return. Residents: Does the City of Gahanna collect property taxes? No. Collection of property taxes is performed by the counties. Residents: My child is working part-time while at college. Are they required to pay Gahanna income tax? Yes, as long as their official residence is in Gahanna. If they officially change their residency to the city in which they are attending college, they will not have to pay Gahanna income tax. However, they may be required to pay income tax to their new city. Residents: I moved to Gahanna part of the way through the last year. Do I have to pay tax on my income for the entire year? No. Gahanna permits prorating of income for new residents. To calculate how much of your income you will need to pay tax on, divide your income by 12 and then multiply the result by the number of months that you lived in Gahanna last year. Businesses: Are you allowed to use business expenses against your income? Yes, you can use Federal 2106 Business expenses against your W-2 income, however, you must deduct these expenses before figuring the credit for tax paid another city. Businesses: Are Schedule C business losses allowed to be used against W-2 income? No. Schedule C losses cannot be used against W-2 income, however, business or rental loss may be used to offset a business or rental profit as long as the loss and profit are in the same taxing district. Businesses: My business is depreciating assets over an extended time. Are there any guidelines on this? If you are depreciating an asset on your taxes for a period of five years, for example, but sell it after three, the revenue from the depreciation must be recaptured for the year in which you sold the asset. Businesses: Does my business need to pay withholding taxes monthly or quarterly? If your business pays over $100 a month in withholding taxes, it must pay monthly. If it is less than $100 per month, the tax must be paid within thirty days of the quarter’s end. Businesses: Does Gahanna allow business losses to be carried forward? No, unlike the IRS, business losses are not permitted to be carried forward for taxation purposes in Gahanna. What are the current pending civil cases in which the City of Gahanna is named a defendant? Peterson, et al. v. National Security Associates, et al. Douglas LaBorde, et al. v. City of Gahanna, et al. Where can I find information about local recreational youth leagues? Answer: Please visit the Parks & Recreation page and click on Community Links or click here. This will relocate you to a page with local youth sports leagues. Please call 614-342-4250 or email us if you need additional information. There are several ways to register for a Parks & Recreation program. 1. Register online through Webtrac here. 2. Register in person at the Parks & Recreation office at Gahanna City Hall, 200 S. Hamilton Road. 3. Register via phone by calling 614-342-4250 and speaking to a front desk staff member. Register for Active Senior programming in person at the Gahanna Senior Center. Who do I contact if a park trail needs maintenance? Please contact the Department of Parks & Recreation 614-342-4250. No appointments are necessary, unless large groups are in need of fingerprinting services. Ink prints require a print card (usually supplied by the employer or requestor of prints). A Driver License or government-issued photo ID is required. Payment methods: check or money order only. U.S. Immigration and Custom Enforcement (ICE), Homeland Security Investigation (HSI), is committed to protecting the public and ensuring that the rights of victims are carefully observed. HSI administers a Victim Notification program which allows eligible victims and witnesses to obtain reliable and timely information regarding a criminal aliens release from custody. However, victims and witnesses are required to register with ICE in order to receive notification of a criminal alien’s release from custody. The removal process can take from several days to several months. Generally, the criminal alien remains in custody until ICE can remove the criminal alien to their home country. Victims and witnesses must submit a request through the web portal below. My family will be going on vacation. Can the police check on our house for us while we are gone? Answer: Yes, a Gahanna Police officer can check on your home while on patrol. Simply print out the Vacation Check Report form and send it to our mailing address listed below or bring it to Police Headquarters (same address). How do I know who has the records I need? Who do I ask? Call the City Council Office at 614-342-4090. The Records Coordinator will take your request and facilitate preparing the records with the custodial office. Do I have to give you my name, address, or phone number? No. However, you can choose to give us that information if you want us to call and let you know the records are ready, or want them delivered to you. Do I have to fill out a form? No. To be sure we understand your request, we might ask questions and make notes, or you can choose to put your request in writing via email to records@gahanna.gov. Am I allowed to have everything in your files? No. The law exempts some information. If we can’t give you something, we will tell you the part of the law that exempts it. How far back can I see records? We have retention periods for records based on their content. We can tell you how far back we have the records you want, and you can see our approved retention schedules. How soon will the records be ready for me to look at or have copies of? Our goal is to provide good customer service and we comply with the law that requires us to prepare records promptly. The time you wait will depend on how many records you want and where they are stored. Is there a limit to how often I can request records? Is there a limit to how many records I can ask for? No. However, if you need a large number of records we will ask you some detailed questions to help identify your specific request. We will also estimate or calculate the cost and let you know in advance in case you want to ask for fewer records. If the cost is expected to be more than $25, we may request a $10 deposit in advance to help cover the cost of copying. How much do records copies cost? Letter-sized, black and white photocopies are 5¢ a page. Color copies, larger copies, and non-paper copies have different costs. We have an approved fee schedule based on what it actually costs in materials to make a copy and can provide you with that information. What kinds of non-paper copies can I ask for? You can have the copies in any format we store them in and can copy them in based on our normal business procedures. Can I take records to a commercial copying store or my home computer to make my own copies? No. Original records stay in the public office to be available to all citizens and the public employees. You may bring a camera to photograph paper documents in our office. Otherwise, we need to make the copies for you. What if I only need some of the information in a document or file? The City of Gahanna strives to assist citizens in every possible way. However, requests for information are not considered “public records requests” so we are not under the same legal obligations as we are for preparing records for you to look at or get copies of. We are not required to create customized records, tailored to your request. It is the requestor’s responsibility to do their own research or summarizing. E-mail messages are judged by the same criteria as records on paper or in any other format. If the content meets the law’s definition of a public record, meaning that it documents the business activity of a public office, the message is a public record. Because an e-mail inbox is not a storage system, public record messages are printed and filed with paper records of that subject. Can I ask for a list of e-mail messages you printed then deleted? Our computer system does not generate such a list and we don’t create one manually. When is refuse, recycling and yard waste picked up? Answer: Yard waste is picked up on Monday. Refuse, recycling and bulk items are picked up on Tuesday. The waste hauler may begin service as early as 7 am. Place all containers at the curb or designated location by 6 am the day of collection but no earlier than 5 pm the day before. What are the collection guidelines for refuse, recycling and yard waste? Please follow the guidelines listed on the Refuse, Recycling, and Yard Waste webpage to ensure proper collection. If materials are not properly prepared, the waste hauler will leave a tag with an explanation. The first instance serves as a friendly reminder. The waste hauler may refuse collection upon subsequent instances. Do I have to separate my recycling? Items to be recycled can be mixed together in the same recycle bin. Do not place recyclables in plastic bags as they may be mistaken for trash. Who do I call if my collection is missed by the waste hauler? If your collection is missed, report it to the Department of Public Service and Engineering, Utility Billing Division at 614-342-4440 by 5 pm the next day of the scheduled pickup. Items reported after that time must be held until the following week. Where do I get new or replacement recycling bins? New recycle bins can be obtained from the Department of Public Service and Engineering, Utility Billing Division located in City Hall (200 S Hamilton Rd). Business hours are Monday through Friday from 8:00 am to 5:00 pm. It is not necessary to bring in your old bins. Old bins should be marked “trash” and placed at the curb. The hauler will then pick them up. Is there anywhere in Gahanna that I can take yard waste that does not fit the collection guidelines? Residents may drop off yard waste at the Service Complex located at 152 Oklahoma Ave in the dumpster marked “YARD WASTE”. Drop offs can be made Monday through Friday from 8:00 am until 3:00 pm. Does the City still pick up leaves? If not, how can I dispose of them? The City no longer offers curbside pick-up of leaves. However, the waste hauler will continue to pick up yard waste as scheduled, including leaves, as long as they are placed in the proper yard waste bags and set at the curb prior to 6:00 am on collection day. Residents may also drop off leaves at the Service Complex located at 152 Oklahoma Ave in the dumpster marked “YARD WASTE”. Drop offs can be made Monday through Friday from 8:00 am until 3:00 pm. How do I dispose of hazardous household waste (HHW)? Hazardous, corrosive, toxic or ignitable wastes (including medical and hospital wastes, liquids, and sludge) cannot be accepted by landfills due to Federal and EPA regulations and are excluded from collection. Solid Waste Authority of Central Ohio (SWACO) provides free household hazardous waste (HHW) disposal services for Franklin County residents. The drop-off location is located at 645 East 8th Ave, Columbus, OH 43201 (at the corner of East 8th Ave and Essex Ave just south of the fairgrounds). For a list of acceptable items, hours of operation and directions, visit the SWACO HHW website or call SWACO’s HHW drop-off facility at 614-294-1300. Where can I take my recycling if I live in an apartment? To find the recycling drop location closest to you please visit the Solid Waste Authority of Central Ohio’s website. What order are streets plowed during snow events? The City’s snow removal policy places every street into one of four categories based on the street’s usage, access and safety. The category determines the priority of when and how streets are treated and cleared. The four categories include: arterial (main streets), collector (streets that lead to arterials), residential (neighborhood streets) and courts. In a plowing event, arterial streets are plowed first. After all the arterial streets are cleared, plows will then work on the collector streets. Following collector streets are residential slopes and residential streets and then courts. The snow plow damaged my mailbox. How do I get it repaired? Please ensure that your mailbox follows the U.S. Postal Service (USPS) standards. The front mailbox and door should be 6 inches behind the back edge of the curb and 38-42 inches above the ground. If these guidelines are followed it will ensure that the City plows will not physically hit the mailbox. If your mailbox is damaged by a plow or by the force of snow coming off the plow, please contact the Department of Public Service and Engineering, Administrative Division at 614-342-4005. Is street parking allowed during a snow event? Vehicles parked on the street during snow and ice events make it difficult for the snow plows to properly clear the streets and present a legitimate hazard. If possible, refrain from parking on the street during snow and ice events. This will enable the snow removal process to be completed efficiently. It will also prevent vehicles from being ‘plowed in’. If a vehicle is plowed in, it is the responsibility of the vehicle owner to dig it out. Who do I call to remove snow from my driveway approach? The City does not come back to open private driveway approaches after the snow plows have passed. This is the responsibility of the property owner. If you are unable to remove the snow yourself, you will need to call a private snow removal company. Many local landscape companies provide this service. I can’t shovel my driveway due to health concerns. How do I get help? You will need to call a private snow removal company. Many local landscape companies provide this service. The annual street maintenance program is determined by the City Engineer based on the street ratings and the annual allocated budget. Rating the condition of all City-maintained streets is completed annually. The following criteria determine a street’s rating: extent of cracking, concrete condition, crack seal condition and pavement defects. To find your street rating and learn more about the street maintenance program, visit the Annual Street Program webpage. How do I get a regulatory street sign (i.e. : no parking, etc.) installed on my street? All regulatory street signage (i.e. : no parking, etc.) is determined by the Chief of Police. Please contact the Police Department at 614-342-4240 with such a request. Where do I report a dead animal in the road or City’s right-of-way? Contact the Department of Public Service and Engineering, Administrative Division at 614-342-4005. They will dispatch a street crew to pick up the dead animal. Potholes may be reported to the Department of Public Service and Engineering, Administrative Division at 614-342-4005. Whose responsibility is it to maintain street trees? Per Gahanna’s Codified Ordinance 913, it is the homeowner’s responsibility to maintain and prune street trees. For concerns regarding the health of a street tree or to request removal of a street tree, contact the Parks and Recreation Department at 614-342-4250. If a street tree is pushing up a section of sidewalk, contact the City’s Forester to examine the tree prior to any concrete leveling or repair work to ensure that the street tree will withstand cutting of the roots. How do you drive a roundabout? For information regarding roundabouts visit the Mid-Ohio Regional Planning Commission (MORPC) website. To watch a YouTube video illustrating how to drive a roundabout, click here. To read and print the Franklin County Engineer’s Roundabout User Guide, click here. Why do we have traffic cameras at intersections? Video detection cameras are set up to relay information for the traffic lights to change and to monitor traffic. They are not used for ticketing or traffic enforcement. Does Gahanna have red light cameras? What do I do if I smell a sewer odor or suspect a sewer backup (i.e. : have slow flushing toilets)? What is a deduct meter/sewer adjusting meter (SAM)? A deduct meter/sewer adjustment meter (SAM) is a water meter that is attached to the property owner’s water line that registers outdoor water use (ie: irrigation system). After a SAM has been installed and inspected, there will be no sanitary charges for any water that passes through the meter since water for outdoor use does not enter the City’s sanitary system. A SAM can be purchased through the Department of Public Service and Engineering, Utility Billing Division. The property owner has the meter installed by a vendor of their choice and then inspected by the City. During inspection, the City will install the AMI transmitter. If the water from a SAM is being applied to an irrigation system, a backflow prevention device must also be installed. This also requires a plumbing permit. Click here to review Gahanna’s SAM installation standards and a detailed guide on how to install a SAM. For more information call the Department of Public Service and Engineering, Utility Billing Division at 614-342-4440, Monday through Friday, 8:00am – 5:00pm. Who is responsible for manhole lids? The City is responsible for all manhole lids on stormwater, sanitary and water lines. If any lid is broken, dislodged or missing, please contact the Department of Public Service and Engineering, Utility Billing Division at 614-342-4440, Monday through Friday, 8:00 am – 5:00 pm. After 5:00 pm and on weekends and holidays, call 614-342-4240. The Utility Billing Division will dispatch a utility crew to investigate the situation and assess the issue. Who is responsible for water leaks? The City is responsible for maintaining the water line from the curb box (located in the front of the property, near the sidewalk) to the water main and the mains themselves. The property owner is responsible for maintaining the water lateral, which runs from the curb box to the building. If you suspect a water break, call the Department of Public Service and Engineering, Utility Billing Division at 614-342-4440, Monday through Friday, 8:00 am – 5:00 pm. After 5:00 pm and on weekends and holidays, call 614-342-4240. The Utility Billing Division will dispatch a utility crew to investigate the situation and assess the issue. They will determine who is responsible for the repairs. What do I do if the water is discolored or foul tasting? If the water looks or smells bad, do not drink, cook, clean or bathe with it. Contact the Department of Public Service and Engineering, Utility Billing Division at 614-342-4440, Monday through Friday, 8:00 am – 5:00 pm. After 5:00 pm and on weekends and holidays, call 614-342-4240. The Utility Billing Division will dispatch a utility crew to investigate the situation and assess the issue. How do I prevent pipes in my home from freezing during the winter? If one happens to freeze, can I thaw it out? Depending on the diameter of the pipe, it can take only a matter of hours to freeze during cold temperatures. Take the following precautions to protect your pipes: insulate water lines in unheated areas of your home (i.e. : garage, attic, basement, crawl space, etc. ), let the faucet drip to keep the water moving through vulnerable pipes (such as those located on an exterior wall), keep cabinets or vanities open to expose pipes to warmer room temperatures and detach outdoor hoses from faucets allowing connecting pipes to drain. In addition, it is important to know where the master shutoff valve is located (typically where the water line comes into the home from the street) in case a leak occurs due to a freezing pipe. What do I do if I have a water leak in my house? 1. Shut off the water line into your house at the master shutoff valve. This is typically located before your water meter (where the water line comes into the home from the street). This will stop the water from flowing out of the leak. 2. If the water is still flowing from the leak after turning the shutoff valve, call the Department of Public Service and Engineering, Utility Billing Division at 614-342-4440. They will dispatch a utility crew to shut off your water from the curb box/street tap. 3. Call a plumber to inspect the leak and perform repairs. A list of plumbers can be found in your local phone book. The City’s utility crew are not licensed plumbers and cannot perform private water line repairs. What is included in my utility bills? How often am I billed? Utility bills are mailed quarterly. Each bill includes charges for water, sanitary, stormwater, refuse, recycling and yard waste collection. Are the readings on my bill actual or estimated? All readings are actual except for cases of water meter outages. Are discounts available for seniors? Residents age 60 and over who are the head of household may sign up to receive a discount on the trash portion of their bill. Sign up by bringing your driver’s license or other official ID to the Department of Public Service and Engineering, Utility Billing Division office at City Hall. For details, please contact the Department of Public Service and Engineering, Utility Billing Division at 614-342-4440. Can payments be automatically deducted from my bank account? The City offers automatic deduction from a bank account for payment of utility bills. If you are interested in signing up for automatic deduction, please contact the Department of Public Service and Engineering, Utility Billing Division at 614-342-4440 for more information. Does the City offer a discount for low-income households? 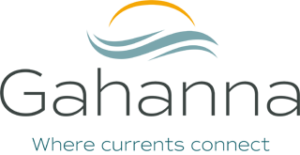 The City of Gahanna is mindful of the rising costs of public utilities including water and sewer. In an effort to aid those in need, Gahanna offers discounts to eligible residents on their water and sewer charges. Actual savings will be based on usage. Please contact the Department of Public Service and Engineering, Utility Billing Division at 614-342-4440 for more information. Whose responsibility is it to repair sidewalks, curbs and gutters? Per Ohio’s Revised Code (ORC) 723.011 and Gahanna’s Codified Ordinance 521.06 (a), sidewalks, curbs and gutters are the property owner’s responsibility to maintain and repair. The only time the City repairs curbs or gutters is when an entire street is replaced or if damage has occurred in or around a storm drain. My neighbors haven’t shoveled their sidewalks, where should I report this? Clearing sidewalks and driveway approaches are the responsibility of the property owner. City Code states “No owner or occupant of abutting lands shall fail to keep sidewalks, curbs or gutters in repair and free from snow, ice or any nuisance.” (ORC 723.011) Please report all code violations to the City’s Code Enforcement Officer at 614-342-4028. Per Gahanna’s Codified Ordinance 913, it is the property owner’s responsibility to maintain and prune street trees. For concerns regarding the health of a street tree or to request removal of a street tree, contact the Department of Parks and Recreation at 614-342-4250.